On 17 December 1939, Canadians gathered around their radios to listen to a broadcast delivered by Prime Minister William Lyon Mackenzie King. This was a special day for Mackenzie King. Not only was it his 65thbirthday, but it also marked the culmination of a series of negotiations that would have a marked effect on the Allied war effort. Mackenzie King announced the details of an agreement that had been reached by the governments of Canada, the United Kingdom, Australia and New Zealand. This agreement related to a cooperative air training program, and was referred to as the British Commonwealth Air Training Plan (BCATP). Its magnitude would be unparalleled. By the time the program ended, more than 130,000 aircrew had been trained, along with 80,000 groundcrew. Although Mackenzie King’s announcement described a scope and scale of program previously unheard of, it did not reveal all the details, nor did it give any indication of the hard bargaining involved in reaching the agreement. Today, the abbreviation BCATP is synonymous with Canada. This appears natural, since the program was conducted by Canadians on Canadian soil. The truth, however, lies much deeper than that. My hypothesis is that Prime Minister Mackenzie King’s tenacity and sense of nationalism were solely responsible for ensuring a distinctly Canadian national identity within this program. His fervent belief in Canada beingseparate from, but at the same time supportive of, Britain had far-reaching effects. This article will outline the origins of the BCATP concept, detail the ‘behind-the-scenes dealings’ that occurred prior to reaching the agreement, and describe how exactly the Canadian nationalist nuances of the agreement were reached. Mackenzie King will be revealed as a man who possessed considerable national pride and sense of purpose. His vision endured, and, ultimately, it ensured a distinctly Canadian role and identity, not just in the program, but also in the overall war effort. 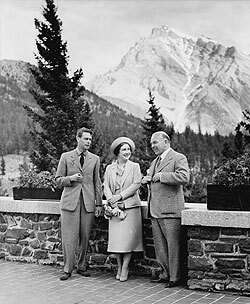 Prime Minister Mackenzie King, King George VI and Queen Elizabeth at the Banff Springs Hotel during the Royal Tour of Canada on the eve of the Second World War, 27 May 1939. The roots of the BCATP can arguably be traced back to the First World War. In 1916, Britain’s Royal Flying Corps (RFC) was hard-pressed to reinforce its front line units when increased casualties began to add strain to its pilot training system as it existed on British soil.1 The solution, supported whole-heartedly by Canada, was to create the airfields and necessary infrastructure to conduct pilot training in North America. These were established in Ontario, primarily at Camp Borden, with smaller airfields being built near Deseronto, Ontario, and several other locations in the Toronto area. 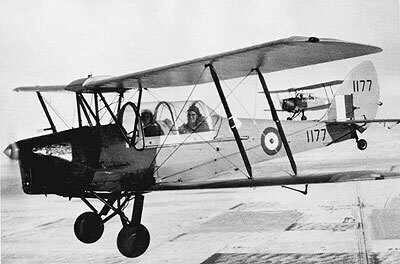 The organization’s name, RFC Canada, was later changed to RAF (Royal Air Force) Canada after the RAF was created through the amalgamation of the RFC and the Royal Naval Air Service (RNAS) on 1 April 1918. 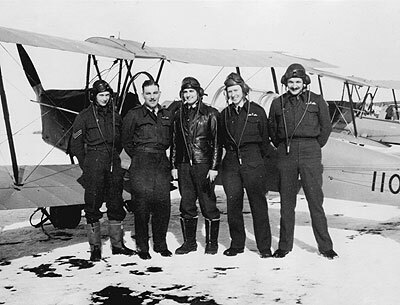 In 1917 and 1918, the total number of aircrew members trained by RAF Canada was 3135 pilots and 137 observers (excluding Americans), of whom 2359 pilots and 85 observers had deployed overseas before the armistice.2 It was manned by a group of RFC officers and commanded by a Briton, Lieutenant Colonel C.G. Hoare. This organization was entirely under British control. Canada did not have its own air force, and, in its role as a submissive member of the Commonwealth, it allowed this British organization to be created and managed solely by RAF personnel on Canadian territory. Perhaps this is the reason that its existence is little known in this country today outside of military or historian circles. The program, although very successful, was not considered Canadian. It was created, staffed, and managed by Britain. Canada, as a loyal Dominion, was simply doing its part by helping the war effort as best it could. The matters of sovereignty or nationalism did not factor into the equation. This would not be the case during the Second World War, and Prime Minister Mackenzie King would see to that. After the First World War, the RAF maintained an opportunity for Canadians to pursue a career in that service. 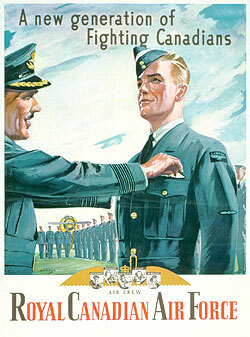 Two permanent positions were reserved for university or RMC graduates each year, and Canadians with high school diplomas could compete with British applicants for five-or six-year short service commissions.3Commencing in 1934, a significant RAF expansion scheme sought to invite and accept more Canadians into British service. 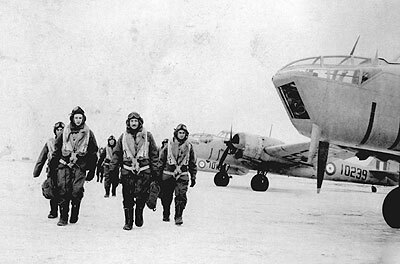 This initiative received some Canadian support, and it served to accomplish three British objectives: the maintenance of a very high standard of aircrew selection, the easing of strain upon its own manpower resources, and the involvement of other Commonwealth countries in RAF expansion.4 This policy was supported by the Canadian government, in part because there often were not enough positions within the still-miniscule Royal Canadian Air Force (RCAF) for those who wished to join this service. 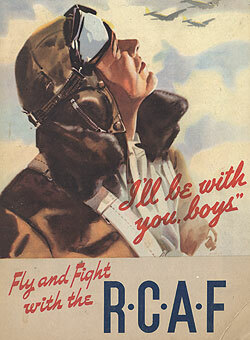 In 1936, a serving Canadian in the RAF made a proposal that would eventually lead to the creation of the BCATP. Group Captain Robert Leckie, then Superintendent of the RAF Reserve, submitted a memorandum detailing the strategic advantages of creating an aviation training facility in Canada.5 In this document, he pointed out the favourable meteorological conditions that would permit year-round flying, as well as the fact that Canada would be far from the anticipated enemy action in Europe, while also being located close to the industrial potential of America. Leckie believed that such a program would attract many Canadians to the RAF. In August, Air Commodore Arthur Tedder, then Director of RAF Training, and Lord Swinton, the British Secretary of State for Air, put forward the idea to the Canadian Minister of National Defence, Ian Mackenzie. Mackenzie was very anxious to cooperate in all such matters, and stated that personally, he would be “…only too glad to accede” to this proposal.6 However, when he put forward the matter to the Prime Minister in September, Mackenzie King had a very different opinion. 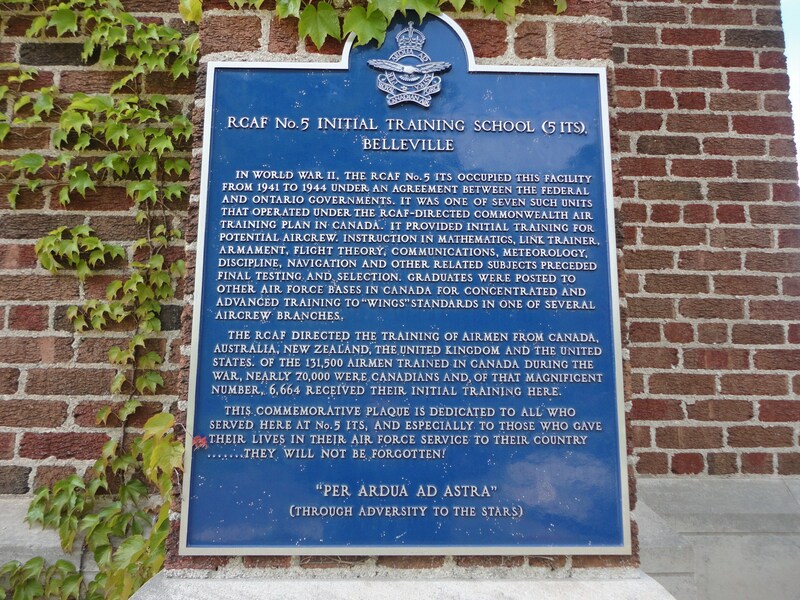 This was reflected succinctly in Cabinet’s September decision that it would be “…inadvisable to have Canadian territory used by the British government for training school purposes for airmen.”7 The matter then went dormant for nearly two years. In May 1938, British Prime Minister Neville Chamberlain sent a mission to Ottawa to assess the Canadian aircraft industry and its manufacturing potential. The head of the mission, British industrialist J.G. Weir, was also instructed to put forward the air training question again.8 The opportunity to do so arose during a meeting between Weir, Sir Frances Floud – the British High Commissioner in Ottawa – and Prime Minister Mackenzie King. At this meeting, Mackenzie King refused to accept the training proposal. A subsequent meeting only served to aggravate the Prime Minister. Mackenzie King’s main objection, as expressed to the House of Commons, rested in having “…[a] military station to be put down in Canada, owned, maintained and operated by the Imperial Government for Imperial purposes.”9 Mackenzie King saw this as distinctly different from having British pilots train in Canada at Canadian facilities under Canadian control. He was also mindful not sign on to any agreement that could be viewed as committing Canada to a future European war on Britain’s side. Such a decision at that time would not have been well received by the province of Quebec, which still harboured a great amount of resentment and discontent with respect to Canadian involvement, and, particularly, the conscription issue, during the First World War. This statement would form the basis for further discussions between Mackenzie King and the British government. On 7 July, the new British Secretary of State for Air, Sir Kingsley Wood, told the British House of Commons that arrangements had been made “…for an officer to be sent immediately to Canada to explore… the possibility of working out such a scheme for training facilities in Canada.”11 However, it soon became readily apparent that British expectations were too high. Group Captain J.M. 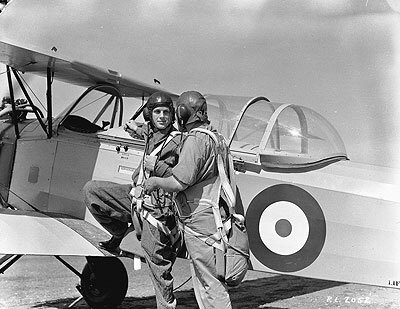 Robb, Commandant of the RAF Central Flying School, arrived in Canada only to find that the British government had a false impression that Mackenzie King’s offer to train British pilots for the RAF also extended to training Canadian pilots for RAF service.12 While being more than willing to discuss the training scheme, Mackenzie King was only prepared to accept British trainees coming to Canada to train in Canadian facilities. The underlying British request for Canadian pilots to be trained in Canada for British service was considered by him to be out of the question. The Plan would require the services of many military and civilian personnel of both genders. 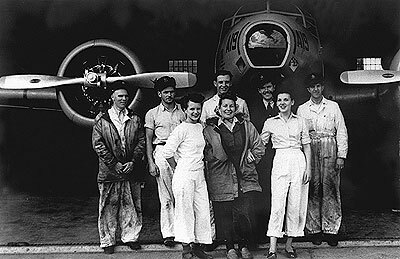 Aircraft maintenance crew in front of Avro Anson aircraft, #5 Air Observer School, Winnipeg, Manitoba. Incredibly, Air Commodore G.M. Croil, the RCAF’s Senior Air Officer, was unaware of how adamant the Prime Minister was on this issue. And Croil, along with Wing Commander G.R. Howsam, Director of Training, had created a plan for training 300 Canadian pilots per year for the RAF. Within the plan, it was stated that British personnel would make up any shortfalls, should they occur, of the intended 300 Canadian pilots. This plan also conceded the necessity for three entirely new air training schools to be created, in addition to those already in being at Trenton and Camp Borden, in order to reach the targeted output. This was all very appealing to Robb, who met with Croil and L.R. LaFleche, the deputy Minister of National Defence, to expand it into a three-year plan. To Robb, it all appeared to make sense. Why would Britain even consider sending such a large quantity of personnel to Canada and back for training that could be done in Britain instead? This seemed absolutely ridiculous to the British. It made far more sense for these pilots to be drawn from eligible Canadian candidates for subsequent training and service in the RAF. Furthermore, the British intended to carry a large part of the financial requirements. The Minister of National Defence gave his approval to the plan, and he requested LaFleche to present it to the Prime Minister. This LaFleche did on 8 August 1938, but Mackenzie King’s hostility was evident in Cabinet. He instructed LaFleche to “…tell [Group] Captain Robb who has come from England that our proposal was to afford facilities for training British pilots – not recruiting Canadians for British service, and to afford facilities for what was desired within that compass.”13 Mackenzie King viewed the plan as a definite war plan that sought to guarantee a location for British training, thereby ensuring Canada’s automatic involvement and cooperation in the war, whenever that eventuality might occur. He wished to ensure that the public was not presented with an impression that the government was indicating in advance its intentions of involvement in any upcoming hostilities. Mackenzie King’s reply sent both parties ‘back to square one.’ The Prime Minister was willing to help the British, but, at the same time, he had no intention of making a military commitment for the country that would threaten either sovereignty or national unity. Britain had no choice but to accept these considerations, and new discussions commenced in January 1939. Over the next two months, a very scaled-down agreement was finally reached. Croil advised the British that a maximum of 50 RAF student pilots could be accommodated annually in Canada.16 These could be trained in conjunction with the 75 planned annually for the RCAF, and the air force training organization was changed considerably to allow this to occur. While training previously consisted of one 10-month course, it was restructured into three 16-week stages, and the elementary flying training (EFT) phase was contracted out to civilian flying clubs. As it materialized, this air training agreement was never actually implemented. The first group of British pilot trainees was due to begin training in mid-September 1939, but the cataclysmic events of that month overtook the plan, and the trainees never arrived in Canada. Instead, Britain decided that, in this instance, it would be best for their training to be completed on British soil. Although it appeared that all was for nought with respect to an aircrew training plan, such was not the case. Canada was fully aware of the importance that air training held for Britain. Britain, for its part, had learned that training in Canada would be conducted only under RCAF auspices. And these realizations would lead to an agreement of unparalleled scope before the year was out. Canada’s sovereignty and independence from Britain was illustrated by the fact that it was not until one week after Britain’s declaration of war that Canada’s own decision to go to war was taken. That date was 10 September 1939. The Air Ministry conceded that the proposed schools would be controlled by Canada. It also foresaw a fourfold training increase requirement. Croil made another assessment, based upon this information, and recommended that training goals of 1000 monthly graduates be set, with further consideration for future expansion beyond that number. The financial implications were astounding to the Canadians. Mackenzie King made it clear that the plan could not possibly be shared in the proportions described. J.L. Ralston, Canada’s Minister of Finance, echoed those sentiments, and observed that Britain’s contribution was far too small. Aircrew practice formation flying in the ubiquitous de Havilland Tiger Moth elementary trainer over #32 Elementary Flying Training School (RAF), Bowden, Alberta. Obviously, considerable negotiations ensued. These cannot be concisely detailed within the limitations of this brief article. The cost of the plan, in its final form, was estimated at $602,271,210 from inception to 31 March 1943, which was the agreed-upon termination date. Costs to the three Dominions were amended to be reflective of the ratio of trainees that would be provided. Canada’s share, not counting the cost of elementary training, was established at $287,179,331.29 And, in due course, the continuation of the war necessitated an extension of the plan until March 1945. Mackenzie King dedicated a considerable amount of effort to the negotiations in order to guarantee that Canada’s interests were safeguarded. He ensured that the overall administration of the program rested with the Canadian government, and that command responsibility belonged to the RCAF. The other participating nations’ interests were protected through a supervisory board in which each nation had a voice. This board met monthly, and made recommendations to the Chief of Air Staff. As the end of negotiations came into view, Mackenzie King dealt with an associated matter of wheat prices. On this matter, he received assurances from the British Prime Minister that a mutually satisfactory agreement would be reached separately. Mackenzie King also demanded a statement of priority from the British government that would serve to illustrate the importance that Britain placed upon this agreement. Mackenzie King was seeking a formal admission that Canada’s role in the air training scheme would be the nation’s predominant war effort. Although the other participating nations were content with the agreement at this point, Mackenzie King pressed for a statement regarding priority that would say that Britain felt that Canada’s participation would provide more effective assistance than any other form that could be provided by the nation. He anticipated this statement would serve to help avoid a conscription requirement, and would appease Quebec’s citizens. Chamberlain subsequently provided a statement that echoed almost exactly what Mackenzie King was demanding, but with a stipulation that the British, “…would welcome no less heartily the presence of land forces in the theatre of war.”30 Mackenzie King edited this phrase to his liking and, during his broadcast announcing the BCATP to the Canadian people, he used it to emphasize the degree of importance accorded by Britain to this important agreement. Mackenzie King was ruthless on one more point of the text. This related to the status of the Dominion squadrons. The agreement stated, “…the UK Government undertakes that pupils… shall, after training… be identified with their Dominions, either by… organizing Dominion units or in some other way. The UK government will initiate inter-governmental discussions to this end.”31 Mackenzie King wanted the agreement changed to reflect that Canadian personnel would be organized into RCAF units at the request of the Canadian government, and would not just be subject to the whims of the mother country. The British Air Ministry obviously had other ideas in mind, as exemplified by the formation of 242 (Canadian) Squadron in October 1939. It was comprised largely of Canadian members of the RAF. Mackenzie King welcomed the gesture, even referring to it in his broadcast announcing the BCATP, but it was too obscure for him. His demand centred upon Canadian squadrons being designated only as RCAF, and that those same squadrons would be organized when requested by the Canadian government, and not by Britain. After much discussion and the relaying of messages, a suitable text was agreed upon. Late on 16 December, the members of the British Air Mission were in Mackenzie King’s office where Riverdale presented an amended Article 15, which stated “…[that] the UK Government, on the request of the Canadian Government, would arrange that Canadian pupils when passing out from the training scheme will be incorporated in or organized as units of the Royal Canadian Air Force in the field.”32 This brought the negotiations to an end. The parties present signed the document after midnight, and the date reflected that it was signed on Mackenzie King’s birthday, 17 December 1939. Aircrew trainees and Bristol Bolingbroke light bombers at #10 Bombing and Gunnery School, Mount Pleasant, Prince Edward Island. Prime Minister W. L. Mackenzie King was a leader with considerable moral fibre. He played a singularly important role throughout the process by which the BCATP agreement was reached. It is obvious that Britain’s preference was to repeat the air training program that had been conducted in Canada during the First World War under its control. In 1936, Canada’s Minister of National Defence was ready to concede to Britain’s will. Only Prime Minister Mackenzie King prevented this from occurring. A similar situation had occurred with the industrialist J.G.Weir’s mission in 1938. Again, Mackenzie King proved to be the voice of nationalistic reason. He adamantly refused to concede to British desires to create, occupy, and manage air training organizations conducted upon Canadian soil. Mackenzie King fought off attacks from the opposition that criticized him for this stance, and that publicly questioned his loyalty to the Commonwealth. To this, Mackenzie King replied emphatically that such efforts on Canadian soil would only be conducted under RCAF direction and Canadian control. When Robb’s Plan was presented with a view to training 300 Canadians per year for RAF service, the Canadian Prime Minister was the one individual who concisely and forcefully made his beliefs known. His influence upon the ultimate agreement mis unquestionable. It is unlikely that the BCATP would be a matter of national pride today were it not for Mackenzie King’s considerable influence. He consistently sought autonomy from Britain, and he frequently had to contend with seemingly arrogant and superior British attitudes. His purpose was not solely founded upon nationalistic grounds, but was also for political and military reasons. At the time, Mackenzie King saw the Plan as a means to avoid supplying large quantities of troops to the fighting fronts. All BCATP candidates would be volunteers, and this, in itself, might ultimately serve to avoid conscription, and thereby appease Quebec, which still harboured significant ill feelings as a result of events that had occurred during the First World War. Not only was the matter of control of facilities on Canadian soil important to Mackenzie King, but he also had the foresight to stand his ground with respect to the operational disposition of Canadians after their training had been completed. His determination for Canadian aircrew to be designated as such and for RCAF units to be created at the behest of Canada, instead of Britain, resulted in Britain conceding that Canada would have a voice instead of being subject only to its direction. In reality, Mackenzie King was anything but a subservient Dominion leader. The creation of #6 (RCAF) Group within Bomber Command, as well as other smaller indigenous RCAF fighting formations, would not have occurred were it not for Mackenzie King’s demonstrated tenacity during BCATP negotiations. Number 6 Group was the ultimate result of his ensuring that Canadian operational formations would be created when requested by the Canadian government. The active squadrons of the Canadian Forces today (the 400-series squadrons) all trace their roots to the Second World War. It is interesting to note that, while the origins of many British squadrons can be traced back to the First World War, the same cannot be said of Canadian units. A distinct Canadian identity in the air did not exist at that time, when all Canadian aircrew were assimilated into British units. The ability to form indigenous Canadian squadrons during the Second World War was a direct result of the foresight of Prime Minister Mackenzie King. He alone recognized the importance of Canadian identity while others around him sought only to address the conflict. Mackenzie King chose to address both issues simultaneously. The effect of his strength of character is still evident today. Otto Bauer once wrote: “A nation is a totality of men united through community of fate into a community of character.” A considerable portion of the Canadian character was forged during the Second World War. And Prime Minister William Lyon Mackenzie King was, in fact, the blacksmith. Chief Warrant Officer J.W. “Bill” Dalke is a recent graduate of the Knowledge Acquisition Program at the Royal Military College of Canada. He is currently the Wing Chief Warrant Officer at 16 Wing, CFB Borden, Ontario. Normand Marion, Camp Borden: Birthplace of the RCAF (Toronto: Kromar, 2004), p. 6. F.J. Hatch, The Aerodrome of Democracy: Canada and the British Commonwealth Air Training Plan, 1939-1945 (Ottawa: Directorate of History, Department of National Defence, 1983), p. 2. Peter C. Conrad, Training for Victory: The British Commonwealth Air Training Plan in the West (Saskatoon, SK: Western Producer Prairie Books, 1989), p. 2. W.A.B. Douglas, The Creation of a National Air Force: The Official History of the Royal Canadian Air Force, Vol. II(Toronto: University of Toronto Press, 1986), p. 195. J.L. Granatstein, Canada’s War: The Politics of the Mackenzie King Government, 1939-1945 (Toronto: Oxford University Press, 1975), p. 44. Wing Commander F.H. Hitchins, Air Board, Canadian Air Force and Royal Canadian Air Force (Ottawa: National Museums of Canada, 1972), p. 355. Vincent Massey, What’s Past is Prologue: The Memoirs of the Right Honourable Vincent Massey, C.H. (Toronto: Macmillan, 1963), p. 304. J.W. Pickersgill, The Mackenzie King Record: Volume I, 1939-1945 (Toronto: University of Toronto Press, 1960), p. 40. Opened in Belleville by the RCAF in August 1941 at the Provincial School for the Deaf. It was initially a five-week, later expanded to 10 week course in armaments, aeronautics and navigation. It was here that personnel were funneled into either pilot, observer, wireless operator or air gunner trades. The school closed in June 1944 and the school returned to its original function. It is now the Sir James Whitney School for the Deaf/Hard of Hearing. Source Material: “Abandoned Military Installations in Canada Vol I: Ontario” by Paul Ozorak. David Norman McIntosh DFC was born in Sherbrooke, Quebec (QC) and was raised at Stanstead QC, which is located about 40 miles south of Sherbrooke close to the border with Vermont, USA. In March 1942, he enlisted in the RCAF in Toronto, Ontario (ON). 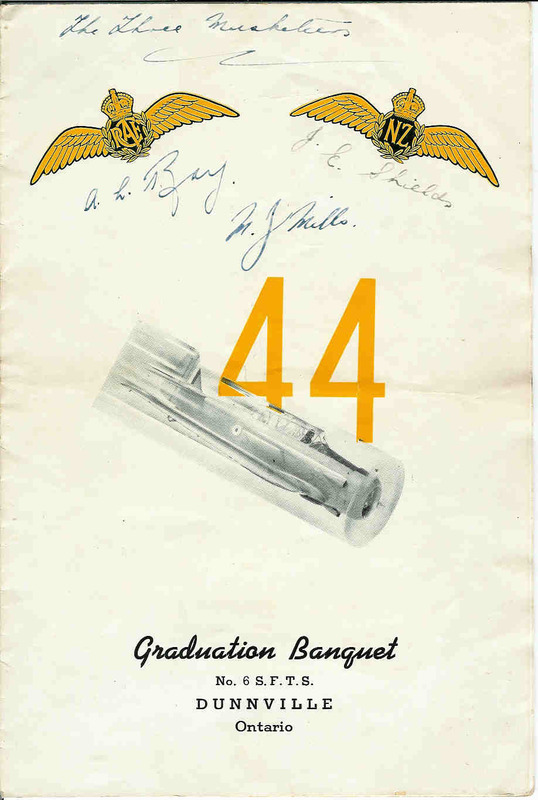 After receiving air crew instruction, he graduated, on February 19, 1943, as a navigator from No. 1 Air Observer School at Toronto (Malton) ON. Soon afterwards he was overseas in the UK and after receiving additional training at an Operational Training Unit was posted to No. 418 Squadron, based at Holmsley South, flying Mosquito aircraft. This was Canada’s only night intruder squadron. These night missions involved risky and dangerous ventures that included day and night strafing attacks on airfields, transports, trains, shipping and rocket sites. These assignments included occasional bomb raids that ranged across Germany, Czechoslovakia, Denmark and Norway. In July 1944, McIntosh and his pilot joined the circuit over Argelsried airfield in Germany. On the way home they ended up in the middle of flak and searchlights over Wiebaden, which was the RAF Bomber Command target for the night. One engine caught fire, which McIntosh succeeded in extinguishing. However it was completely burned out and his pilot had to make the rest of the flight home with only one engine. Over 9,900 Canadians in RAF and RCAF air crew, sacrificed their lives fighting for freedom and democracy. Some crashed into the sea or crashed in England. Some airmen survived the crashes, others were rescued at sea. A great many of those who died never had a chance to bail out. They perished when their aircraft loaded with 11 tons of explosives and high octane gas, either exploded in the air or on impact with the ground. Several others were killed when they plummeted 6 to 8 kilometers to the ground after their parachutes caught fire from their burning aircraft. On June 13, 1944, the first V-1 flying bombs fell on England and McIntosh’s squadron was assigned patrols to prevent these V-1s from reaching London. McIntosh and his pilot, Sid Seid, destroyed six of them flying so close to them that one explosion blackened their aircraft. After a series of moves at the end of July and the beginning of August 1944, the squadron settled in at Hundson, thirty miles north of London. McIntosh and his pilot’s major achievement occurred in October 1944 when they destroyed eight enemy aircraft on the ground. 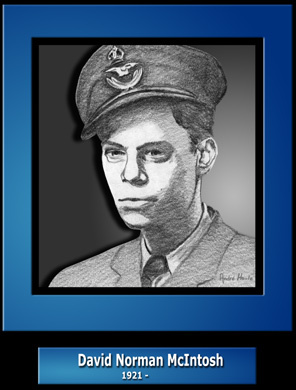 After 41 missions, McIntosh completed his tour and was awarded the Distinguished Flying Cross (DFC) for his skill and valour. Postwar, McIntosh retired from the RCAF and joined Canadian Press and became a foreign, defense and political correspondent for 30 years. In 1972, he began writing and producing films for federal agencies. He authored two popular books: Terror In The Starboard Seat and High Blue Battle. Mervyn is much more than a name on a page. Son of George William Alfred Worthy Mills and Gwendoline Eleanor Mills of Parnell, Auckland. Mervyn Jack Mills was born at Auckland on 19 February 1923. He had two sisters. He received his primary education at Te Kuiti Primary School (1928 – 1931 approximately) and Parnell Primary School (1932-1934) and his secondary education (studying electrical engineering) at the Seddon Memorial Technical College (1935-1936). His hobbies were shooting and swimming. At the time he enlisted for war service with the RNZAF in June 1940, he was employed as a Warehouseman by J Wiseman and Sons Ltd, Auckland. Elsewhere in his service record his trade is described as a saddlery salesman. Mills was enlisted for aircrew training on 27 July 1941 at the Ground Training School, Levin, and was posted on 8 September to No 4 Elementary Flying Training School, Whenuapai, to commence his flying training. On 17 November 1941 he embarked for Canada to continue his training under the Empire Air Training Scheme. He was posted to No 6 Service Flying Training School in Dunnville, Ontario, shortly after his arrival in Canada. It was while he was stationed there on 27 March 1942 that he was awarded his flying badge and promoted to Sergeant. This was superseded by his being commissioned as a pilot officer with effect from the same date. On 1 October 1942, while in Wales, he was promoted to flying officer. Meanwhile, on 5 April 1942, he proceeded to No 1 “Y” Depot, Halifax, Nova Scotia to await embarkation for the United Kingdom. Having arrived in England in mid May 1942, Mills was held at No 3 Personnel Reception Centre, Bournemouth, until posted on 3 July 1942 to No 5 (Pilots) Advanced Flying Unit, Ternhill, Shropshire. From here he was posted on 22 July 1942 to No 53 Operational Training Unit, first at Landlow, and later to Rhoose, both in Glamorganshire, Wales. With his unit he completed his training on Spitfire fighter aircraft prior to being posted on 14 October 1942 to No 132 Squadron, Martlesham, Suffolk, to commence operational flying. As the pilot of a Spitfire fighter he engaged in sixteen operational flights, mostly convoy patrols but including one low level attack against an enemy objective and one enemy aircraft interception flight. Mills was the pilot of a Spitfire fighter which failed to return to its base and he was classified as missing. His death was officially presumed to have occurred on 19 November 1942 as a result of air operations. At the time of his death he had completed 273 flying hours as a pilot. LAC Jones’s medal really hit home as you can well imagine. Knights with Wings was a movie made in 1940. The movie was shot at No. 4 EFTS Windsor Mills. Back in 2010 I knew nothing about the BCATP and even less about No. 4 EFTS in Windsor Mills. I got curious and I wrote about it here. The movie is shown on the Website Digital Heritage Alberta. The link at the very end is interesting in a way when you start to ponder about LAC Jones. I know I did and I had to share this about LAC Jones who died in a plane crash in Canada. The Memorial Cross of American LAC JONES – George VI (LAC L.C. JONESR-147302). Naming is officially engraved. Contact marks and gilt wear, very fine. Accompanied by a CD containing twenty-five pages with copies of his Computer Card (confirming his eligibility for the War Medal 1939-1945 and the Canadian Volunteer Service Medal), Index Card, Attestation Paper, Service Records, two Letters of Recommendation, Wyoming States Board of Health Bureau of Vital Statistics Certificate of Birth, Province of Ontario Certificate of Registration of Death, RCAF Casualty Notification (dated January 14, 1943), RCAF Officer or Airman’s Report on Accidental of Self-Inflicted Injuries or Immediate Death Therefrom for Pilot Richard B. Steelman, Report of Death of United States Citizen in Military Service, Will, Estates Branch Application and Accompanying Sympathy Letter. Footnote: Lester Charles Jones was born on March 4, 1921 in Lingle, Goshen County, Wyoming, the son of Walter Richard Jones and Dorotha D. Jones. He had two brothers: 37455079 Private Walter Leonard Jones, 413 Infantry, Camp Adair, Oregon and Kenneth Elmer Jones, along with three sisters: Anna Maxine Jones, Dorothy Jean Jones and Betty Lou Jones. He spent his first two years in Wyoming (1921-1922) before moving with his parents to Nebraska (1923-1930), then to Colorado (1931), before returning to Nebraska (1931-1940). He attended Hope School (1931-1935) in Alliance, Nebraska, then transferred to Alliance High School in 1936, where he graduated in May 1939. He worked jobs as a Station Attendant at Perry’s Super Service Station in Alliance (August 1939 to January 1940) and as a Ranch Hand (June 1940 to August 1940), before leaving to find his fortune in California in August 1940. He attended Pacific Aircraft Technical School for aircraft construction at Hawthorne, California (October to December 1940) before being hired by the Lockheed Aeroplane Factory as a casting fitter and frame builder. 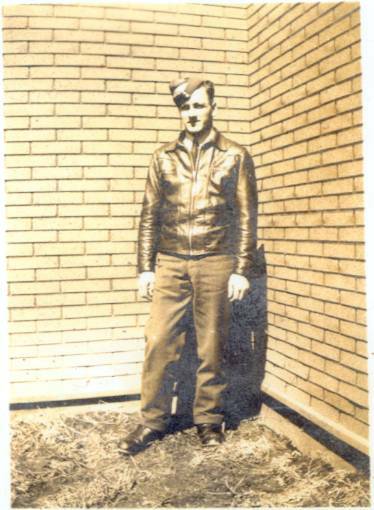 He returned to Nebraska in October 1941, remaining there until December, when he left for Canada to join the Royal Canadian Air Force. He had two letters of recommendation to join the air force: one from George H. Bell, addressed to Captain Hathaway at the Roosevelt Hotel in Hollywood, California (dated October 29, 1941) stating that Jones “would like to enlist in the Royal Air Force” and the other from Harold Perry of Perry’s Super Service Station in Alliance. Jones signed his RCAF Attestation Paper on December 18, 1941 in Winnipeg, Manitoba, naming his next-of-kin as his father, stating that he was an American citizen, he had no previous military service, that he had not previously applied to the RCAF for admission, that he was single and that his occupation was that of Aircraft Worker. He was posted as an Aircraftman Second Class, Aircrew, to be a Pilot or Observer, at No. 2 Manning Depot in Brandon, Manitoba the following day. While at No. 2 Manning Depot, he was hospitalized for two weeks at Brandon General Hospital from January 24 to February 6, 1942, the illness undisclosed. After two months at No. 2 Manning Depot, he was transferred to the TTS (Technical Training School) at St. Thomas, Ontario on February 12, 1942, where he was to remain for another two months, before being transferred to the ITS (Initial Training School) at Toronto, Ontario on April 11, 1942. It was at ITS where he was to see a promotion to Leading Aircraftman on June 5th. He was now deemed ready for flight school, as he was transferred to No. 7 EFTS (Elementary Flying Training School) in Windsor, Ontario on August 1, 1942, where he trained on Tiger Moth aircraft, attaining a total flight time of Dual (33:40) and Solo (31:15) during the day and Dual (2:00) at night. That Fall, he was transferred to No. 16 SFTS (Service Flying Training School) in Hagersville, Ontario on October 10, 1942, where he trained on Anson Mark II aircraft, attaining a total flight time of Dual (26:45) and Solo (27:25) during the day and Dual (2:00) at night. He was hospitalized for two days at Hagersville Station Hospital from December 13th to 15th, again with another undisclosed illness. Jones was killed on January 6, 1943, at the age of 21, as the result of a flying accident during a routine training flight near Guelph, Ontario, when the Anson Mark II, No. 8266 aircraft crashed at 14:30 in Puslinch Township, two miles south-west of Morriston, Ontario. His autopsy showed that he suffered “crushing and lacerations” injuries, incorporating multiple fractures to his skull, spine and legs. He was one of three airmen on the flight, all of which were killed. In addition to Jones, R145299 Richard Bertram Steelman (Student Pilot. age 27) and J13066 Pilot/Officer John Caskie, who was piloting the aircraft, with 71 hours Dual and 100 hours Solo to his credit, also died. In his Flying & Ground Training Report on Pupil Pilot, it listed the cause of the accident as “obscure” but noted that Jones had scored well in Natural Skill, Skill in Landing, Airmanship, Cockpit Drill, Instrument Flying, Night Flying and Aerobatics. Jones‘ body was returned to his parents and he was buried at Alliance Cemetery, Alliance, Nebraska, Grave Reference: Lot 22. Section 5. Block 9. Grave 7. In his Will, dated December 20, 1941, he stated that “I Give, Devise and Bequeath unto my father, Mr. Walter R.Jones, Alliance, Neb., All My Estate”. He also was insured with the New York Life Insurance Company, which paid out to his father. Jones was posthumously awarded the War Medal 1939-1945 and the Canadian Volunteer Service Medal for his war service, the medals going to his father, his parents receiving the Royal Message upon his death which was forwarded by the government on February 19, 1943, while his mother was forwarded his Memorial Cross on the 23rd, as presented here for sale. Someday that Website will probably disappear as well as all the homage rendered on it.